This study investigates the robustness and validity of the environmental Kuznets curve hypothesis for Brazil, Chile, China, Colombia, Egypt, Greece, India, Indonesia, South Korea, Malaysia, Mexico, Peru, the Philippines, Thailand, and Turkey. The hypothesis postulates the connection between pollution and income follows an inverted U-shaped path, which means that environmental degeneration rises with income during the beginning phases of economic growth; however, it declines after reaching a specified peak. For the empirical part of our study, we employed summability procedures designed to analyze the nonlinear long-term relationship for persistent processes. The yearly data consist of carbon dioxide emission and gross domestic product, both of which are expressed in per capita terms and cover the period from 1960 to 2014. 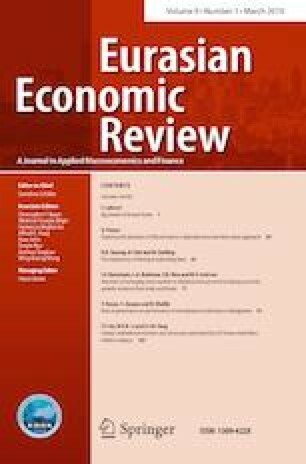 The results illustrate the Environmental Kuznets Curve hypothesis holds for China, Colombia, India, South Korea, and the Philippines, which means that environmental problems wither away with economic growth and are resolved automatically without any need for policy action in these countries. We wish to thank the anonymous referee for many helpful comments. Special thanks go to the Editor for allowing us the opportunity to revise our work. Any remaining errors are solely ours.